The Polish National Radio Symphony Orchestra in Katowice fulfils the role of an ambassador of Polish culture on the international artistic scene. The Orchestra has collaborated with some of the greatest composers of the second half of the 20th century: Witold Lutosławski, Henryk Mikołaj Górecki and Krzysztof Penderecki, delivering the first performances of their works. The NOSPR was founded in 1935 in Warsaw by Grzegorz Fitelberg who led it until the outbreak of World War II. In 1945, the Orchestra was revived in Katowice by Witold Rowicki. In 1947, the post of the artistic director was taken again by Fitelberg. After his death in 1953, the Orchestra was headed in succession by Jan Krenz, Bohdan Wodiczko, Kazimierz Kord, Tadeusz Strugała, Jerzy Maksymiuk, Stanisław Wisłocki, Jacek Kaspszyk, Antoni Wit, Gabriel Chmura and, once again, by Jacek Kaspszyk. In September 2000, Joanna Wnuk-Nazarowa became the institution’s General and Programme Director. In August 2012, Alexander Liebreich became the Artistic Director and Chief Conductor of the NOSPR. Apart from making archival recordings for the Polish Radio, the Orchestra has recorded more than 200 CD albums for many renowned record companies. The NOSPR was honored with numerous awards for its phonographic achievements, including Diapason d’Or, Grand Prix du Disque de la Nouvelle Académie du Disque and International Classical Music Awards. Many distinguished conductors and soloists have performed with the NOSPR. 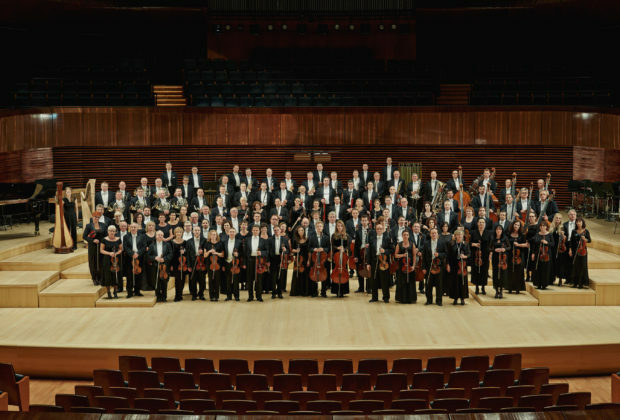 The Orchestra has performed in nearly all the European countries, in the Americas, as well as in Japan, Hong Kong, China, Australia, New Zealand, Korea and in the Persian Gulf countries. The NOSPR has implemented numerous projects which have been internationally acclaimed, such as Maraton twórczości Henryka Mikołaja Góreckiego, Pociąg do muzyki Kilara and Muzyczna podróż morska. Since 2015, the NOSPR – the ICMA Special Achievement Award 2018 recipient – has been the organiser of the Katowice Kultura Natura Festival, and since 2005, of the biennial Festival of World Premieres Polish Modern Music, whose the 7th edition was nominated for the Koryfeusz Muzyki Polskiej 2017 Award in the Event of the Year category.